Looking beautiful is one of your top priorities as the bride – and your hairstyle is most definitely among the most important beauty elements to handle before the big day. What are the most gorgeous summer wedding hairstyles to consider this year? We have some ideas for you – so read on if you need a dash of inspiration. Braids. Evergreen and always sweet, braids are perfect for the carefree vibes of summer. Fishtail braids tend to be among the top favorites with brides – but milkmaid braids are also very popular. If you want to add an even more “summery” touch to your hairstyle, talk to your hairstylist and incorporate delicate flowers in the braid. It will look absolutely amazing. Ribbons. Girly, cute and playful, ribbons are always a nice touch when it comes to a feminine look. This year, ribbons are best worn in the hair – so don’t hesitate to incorporate a delicate ribbon when pulling your hair back, or even when braiding it. We guarantee it will wow everyone as you walk down the aisle! High buns. There’s nothing more timeless, more feminine, or more elegant than a high bun. Small or large, a high bun will add so much sophistication to your look – and it can be so versatile too! There’s a very good reason this style comes back in fashion again and again – it’s simply…gorgeous. Pixie cuts. 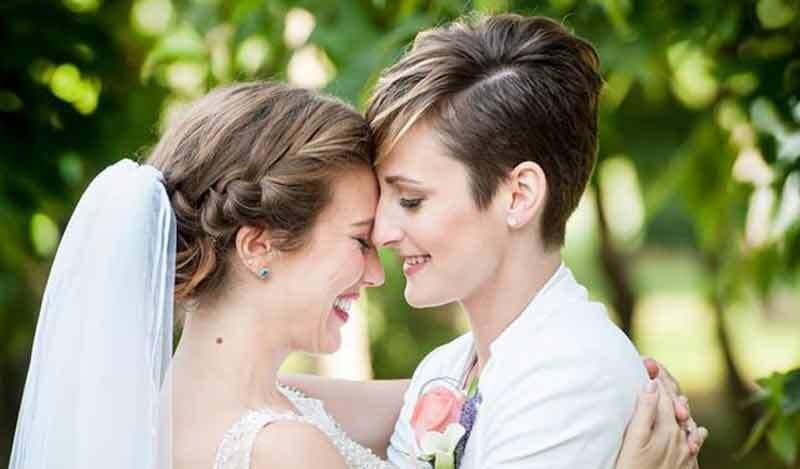 All brides are stunning in their own way – and if you like wearing your hair short, there are plenty of bridal hairstyles you can choose from too. From incorporating flower crowns into a short pixie cut to wearing it in elegant simplicity, there’s a wide range of wonderful touches you can bring to your adorable short hair. Looking for a venue that brings together elegance and beauty in a seamless way? Contact The Oaks and schedule a tour of our splendid waterfront wedding venue. We still have several 2017 Summer dates available for weddings – so be sure to contact us today.